If you're anything like us, you're mesmerized by how pretty no line coloring is with our great stamp sets. Today we're here to unlock some expert advice on No Line Coloring! Today's video will give you tips on how best to achieve the no line coloring effect. Francine shares great ideas that will give you the confidence to try! Watch the video below or click here (June 2016 Release Class - No Line Coloring) to watch it on YouTube. Don't forget to subscribe to our YouTube channel so that you don't miss a single tutorial! What a pro Francine is! Even if your first result doesn't turn out perfectly — keep practicing. The final effect is worth the effort. Let's take a look at a few examples of some projects that feature no line coloring. 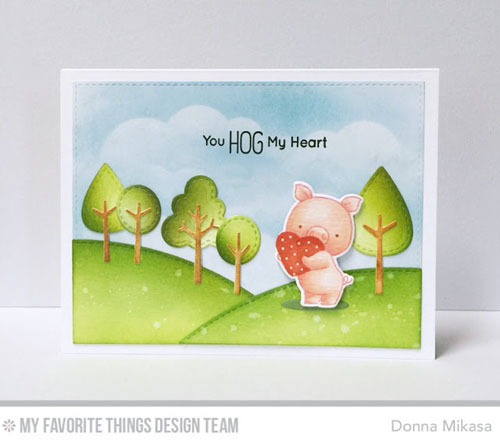 Donna had fun creating her cute scene with the Hog Heaven stamp set. Such a soft and sweet look it gives the heart hugging hog. 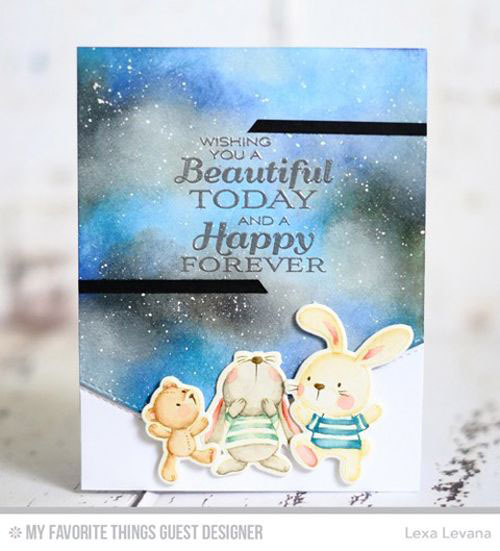 MFT Guest Lexa Levana shared this adorable no line coloring card using the Snuggle Bunnies stamp set. It looks just like a storybook! 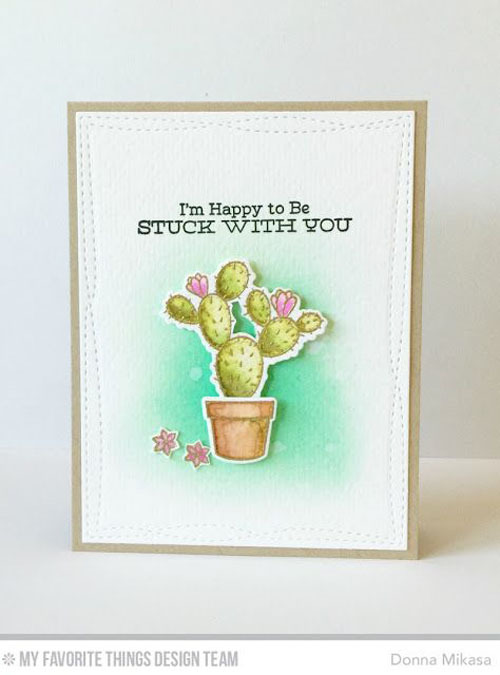 Not only is no line coloring great for adorable creatures, it can work well with other stamps, too. Here Donna shows the technique with the Sweet Succulents stamp set. You will LOVE trying no line coloring. Be sure to tag #mftstamps when you post your projects online. We can't wait to see what you've made! These are soooo Adorable!! Love the look of no line coloring!! I love the look of no line coloring, but it is a ib of a challenge. I need more practice! Great video. Francine makes it look so easy! Going to watch the video, and drool likely ;). This is something I have heat to try. Someday, right? ;) Fantastic examples of making it look great! !